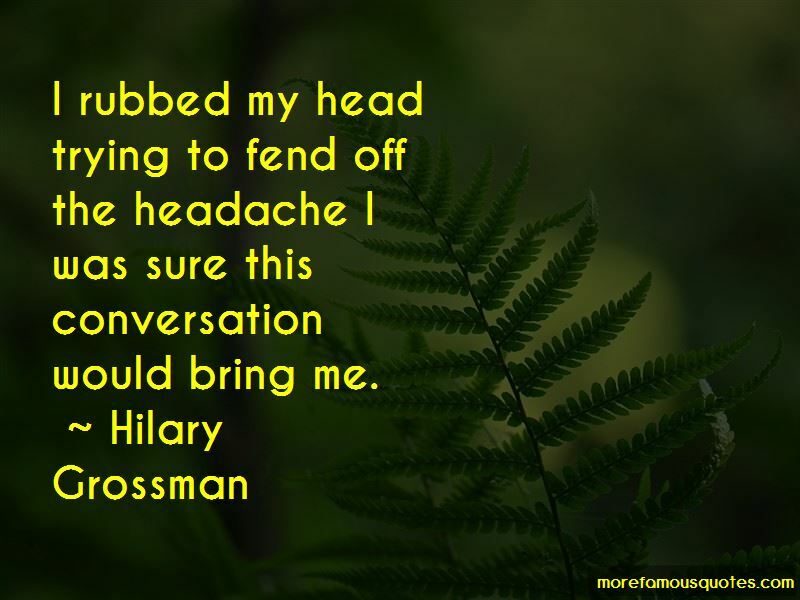 Enjoy the top 11 famous quotes, sayings and quotations by Hilary Grossman. 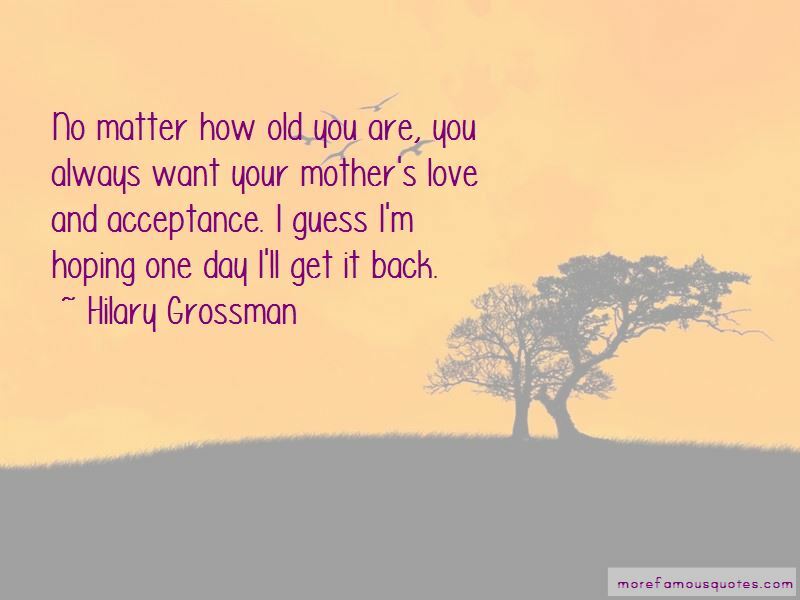 No matter how old you are, you always want your mother's love and acceptance. I guess I'm hoping one day I'll get it back. And if somehow Marc was serious, I knew that by the time our engagement was announced, I'd be an expert at celebrating. After all, practice makes perfect, and who else had this much practice? She kept reminding me she was at a wedding, which didn't really help my emotional state, if you know what I mean. 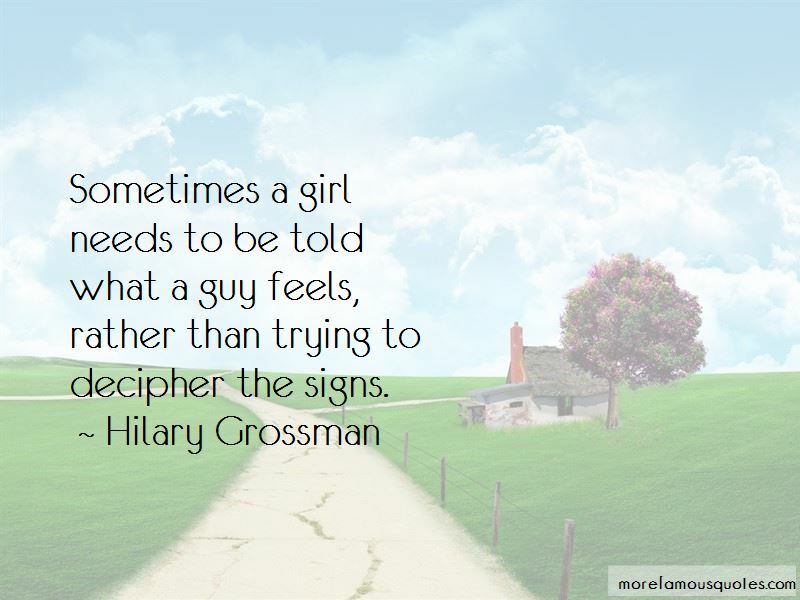 Want to see more pictures of Hilary Grossman quotes? 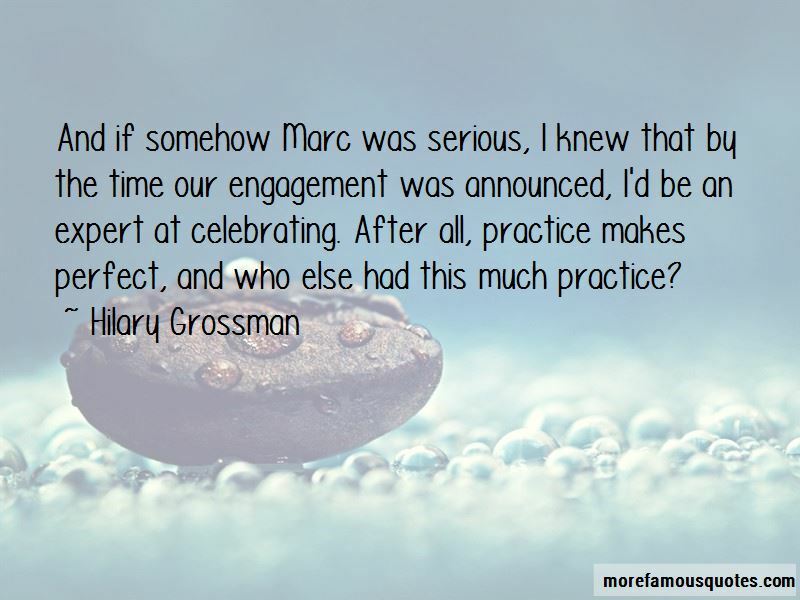 Click on image of Hilary Grossman quotes to view full size.